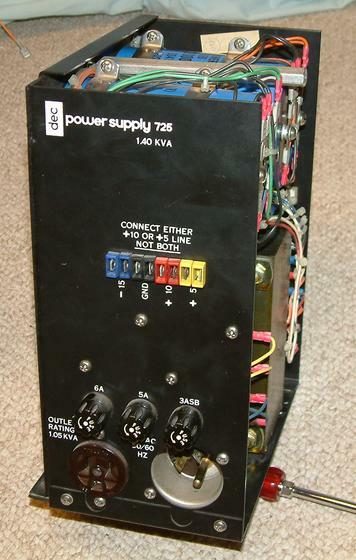 This is a picture of the back of the power supply. It only generates the voltages needed to drive the tape motors. The logic power is fed into the drive using the connectors in the middle from an external supply. Older supplies for transistor logic didn't generate 5V so the tape drive can take the 10V they generated and internally regulate it down to 5V for the TTL logic.